In the UK, almost all mobile phone plans have a monthly limit on how much you can download. 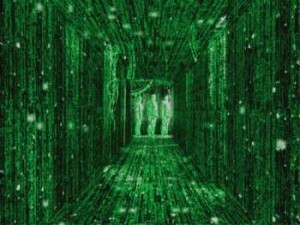 In this article, find out what you’re able to do with a gigabyte of data. Also, discover the right data plan for your usage every month. After choosing a new smartphone, the next thing you’ll need to do is to choose an appropriate tariff on which to use the handset. In the old days, choosing a mobile phone tariff was simple. You simply needed to know how many minutes and how many texts you wanted every month. In the new world of high-tech 4G smartphones, choosing a tariff is now much more complicated. Instead of minutes and texts, it’s now all about the data. You’ll need to work how many gigabytes you want per month (on average, that’s about 2GB per month but it depends very much on how you use the handset). On today’s smartphones, almost all of the functionality requires data to work. You’ll need data when browsing the internet, when sending messages on WhatsApp and when reading your e-mail. You’ll also need data when using applications such as Facebook, Twitter, Instagram, Spotify, Skype and YouTube. Unfortunately, different apps and activities all consume data at substantially different rates. This can make it a little bit tricky to work out how much data you’ll actually need every month. In this article, we’ll explain the real-world meaning of monthly download limits. We’ll show you what a gigabyte of mobile data actually means in reality: how many web pages you’ll be able to access, how many messages you’ll be able to send and how many apps you’ll be able to download. We’ll also help you to find the best value data plans available for your handset. Finally, we’ll show you how to measure your current data consumption and how to make your monthly allowance go a lot further. 2 How Much Data Do I Actually Need? 2.1 What Can I Do With A Gigabyte (1GB) Of Data? 6.1 Does data transferred over wi-fi count towards the monthly download limit? 6.2 How much data is used by tethering or portable wi-fi hotspot? 6.3 Does listening to radio count towards my download allowance? 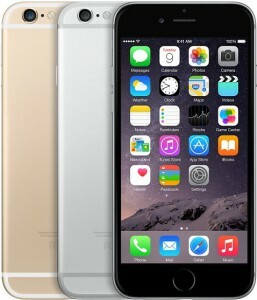 A typical phone contract in 2015 has 2GB of data included every month. In the UK, there’s a wide choice of mobile phone tariffs with varying amounts of data every month. Typically, new mobile phone contracts in 2015 have around 2GB of data per month. Entry-level tariffs (including some cheap SIM only deals and some Pay As You Go bundles) often start from around 500MB per month (500MB is equivalent to 0.5GB per month). On the other end of the spectrum, there are more expensive tariffs with up to 20GB of data per month. There are also two mobile networks offering all-you-can-eat, unlimited data (only Three and giffgaff currently offer this). There are 1,000 kilobytes (KB) in 1 megabyte (MB) and 1,000 megabytes in 1 gigabyte (GB). This means if you see a tariff offering 500MB per month, you can download only half as much as you’d be able to do a 1GB per month tariff (500MB is equal to 0.5GB). You may occasional come across terms such as terabyte and mebibyte. These terms are rarely used within the mobile industry but Wikipedia has a good explanation in case you ever come across them. 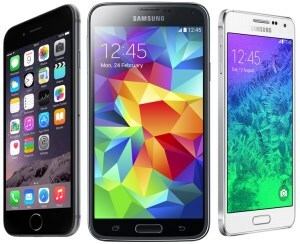 All of the UK’s major networks offer a tariff suitable for use on smartphones. You can either choose a tariff which comes with a new smartphone included (a Pay Monthly contract) or you can choose a cheaper SIM-only tariff where you keep the handset you already have. How Much Data Do I Actually Need? We’d typically recommend getting around 2GB of data when choosing a new tariff. Generally, we’d recommend choosing a tariff with around 2GB per month. Light users (e.g. for people who rarely use their smartphone or for people who mainly use wi-fi) can reduce their allowance to either 500MB or 1GB per month. Heavy smartphone users may instead wish to look at tariffs with 4GB or more every month. What Can I Do With A Gigabyte (1GB) Of Data? The table below shows you what 500MB, 1GB, 2GB and 4GB of data actually mean in reality. Please note: it’s difficult to give exact figures in the table below. To give an example, web pages differ substantially in size. Some websites are incredibly simple (they’re mainly text with only a few images) whilst other websites are much more complex (they’ll have embedded photos and videos which will greatly increase data consumption). Hence, in order to produce the table below, we’ve had to take averages for each item in the table. It only provides a rough guide on what you’re able to do (your mileage may vary depending on the apps and the websites you use). Approximate figures for what you’re able to do with 500MB, 1GB, 2GB or 4GB of mobile data. See this data usage table for a breakdown of data usage by app and activity. In the table above, we’ve listed what 500MB, 1GB, 2GB and 4GB correspond to in usage (this isn’t a shopping list of what you’re able to do with a 500MB, 1GB, 2GB or 4GB allowance). In other words: viewing 900 web pages, watching an hour of online video or downloading 40 applications would use up 500MB of data (a 500MB allowance would not allow you to do all of the activities during the same month). Realistically, you’ll do a bit of everything so each activity would contribute towards your total data usage. 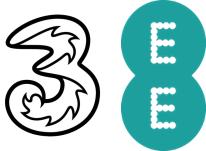 According to Three and EE, average data consumption is now around 1.1GB to 1.4GB per month. For the average user, we’d typically recommend choosing a tariff with at least 2GB per month. Our recommendation is based on statistics for average data consumption. It also allows for some data usage increase over the next 24 months. In July 2012, Three reported that the average customer used 1.1GB per month. In February 2013, EE announced average data consumption to be 1.4GB per month. Based on these figures, 2GB per month should be ample for most users. Heavy smartphone users who’d consider themselves to be ahead of the curve should probably consider an even larger allowance (perhaps in the region of 4GB to 5GB per month). The form below will help you to find the best value data plan available for your usage. Start by choosing the smartphone you’d like to buy from the dropdown menu below. You can then use the slider to adjust the amount of data required (move the slider left to reduce the amount of data; move the slider right to increase the amount of data). Please select the handset you'd like to buy from the list above. Alternatively, click on your network operator's logo for more information about their data plans & tariffs. Handset not listed? If your preferred handset isn’t listed in the dropdown menu above, please refer to the EE, O2, Three and Vodafone websites for full information about the data tariffs available. Want to keep your current smartphone? If you’d like to change tariff whilst keeping your current smartphone, please see our in-depth comparison of the UK’s cheapest SIM only deals. For a more accurate estimate, see the section on how to find out your current data consumption. Almost all activities on a smartphone will consume data. Almost all activities on a modern smartphone consume data – the main exceptions being making a phone call and sending a text message. Activities consuming data include: browsing the web, reading and sending e-mails, accessing Facebook and Twitter, sharing photos online, updating your status, downloading apps and games, downloading music, listening to online radio and watching videos on YouTube. Instant messaging and voice over IP apps (Skype, WhatsApp, BBM, Facebook Messenger, etc) also consume data when in use. Your phone could automatically consume data in the background even when you’re not actively using it. For example, your e-mail application will automatically check for messages during the day. Also, the weather widget on your home screen may update itself automatically by downloading the latest forecast over the internet. Your phone may also download application updates in the background. Hence, when choosing a data plan, you should always allow some extra for background data usage. Table showing how different activities contribute to data consumption. Assumptions Made. Web Browsing: The average mobile web page is 558KB (as of February 2014, rounded to 600KB in the table above). 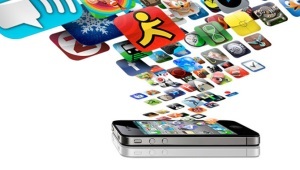 Apps: The average app is 13MB in size (based on a sample of the 20 most popular Android apps). Skype Voice Call: Our testing found a mobile voice call to consume 0.55MB/minute (70kbps). 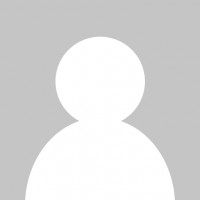 Skype Video Call: Our testing found a video call to use 4MB/minute (500kbps). Online Radio: Assumes a bitrate of 128kbps. Online Video: Data consumption is between 300MB and 700MB per hour (depends on the service and the quality of video). We’ve used an average of 500MB per hour. There are two ways of finding out how much data you’ve been using on your smartphone. The first way is by logging in to your mobile network’s website or app (this will give the most accurate measurement). The second option is using your smartphone operating system to measure data usage (slightly less accurate and only available on supported devices). For ease of access, you can also download an app from your network (this will add an icon to your phone’s home screen making it possible to view your allowances quickly). Want to find out how much data you’re using on your current smartphone? Log in to your mobile network’s website or app. The second way of measuring data consumption is through your smartphone’s built-in data monitor. The measurement is slightly less accurate than your mobile network’s measurement but the two figures should generally be similar. A key advantage of using your smartphone’s data monitor is you can see an app-by-app breakdown of how much data has been used. iPhone. Providing your iPhone is running on iOS 7 or later, you can see a breakdown of data usage through the Settings > Cellular dialog. Note: Data usage figures are shown since you last reset the data counter on your phone. For most people, you’ll be shown the figures for all-time data usage. Android (e.g. Samsung Galaxy, HTC One, Sony Xperia, Nexus & Moto). 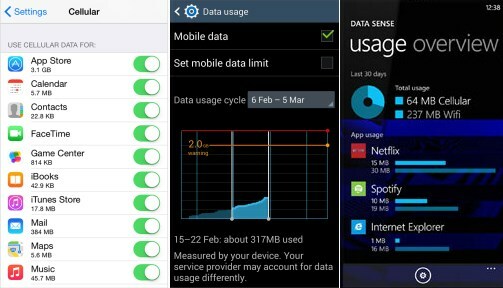 On Android-based handsets with Android 4.0 or newer, you can see data usage through Settings > Data usage. For a more accurate measurement, we recommend setting your data usage cycle to match the billing period associated with your tariff. Windows Phone. On Windows Phone 8.1, the built-in Data Sense application will show you data usage for the past thirty days. On iPhone, Android and Windows Phone handsets, you can monitor data use within the operating system. When choosing a new contract, it’s well worth taking some time to find out how much data you’re currently using on your old smartphone. If you’re using the measurements to choose a new contract, we strongly recommend allowing yourself some extra data. For instance, if you’re currently using around 1GB per month, we’d probably recommend choosing a 2GB tariff. The reason for this is natural growth in data usage over time (the contract will need to last you another 24 months!). Over time, we expect data consumption to naturally increase by around 20% per year even without any change in usage. This is because web pages naturally grow in size and newer applications become increasingly data-hungry. Data transferred over wi-fi doesn’t count towards your mobile download limit. Use Wi-Fi whenever you’re at home. Whenever you’re in range of a wi-fi internet connection, connecting to it will help to reduce your mobile data consumption. Data transferred over wi-fi will not be counted towards your mobile download allowance. This means you can save the mobile data for the times when you actually need it out-and-about. You can normally find free wi-fi internet at coffee shops and restaurants. Avoid using bandwidth-intensive apps. If you’re not connected to a wi-fi network, refrain from using online music and video services. Applications such as Spotify, BBC iPlayer, YouTube and Netflix will very quickly use up your download allowance. You should also avoid tethering and using voice-over-IP or file sharing applications. Disable automatic application updates. Application updates can use up a large amount of your monthly download allowance. For instance, if you were to receive 10 application updates per month, this would use around 130MB of data. In the Google Play Store (Android only), press the menu button followed by Settings. For the “Auto-update apps” setting, we recommend choosing either “auto-update apps over Wi-Fi only” or “do not auto-update apps”. Use bandwidth saving apps. Applications such as Onavo and Opera Mobile can reduce your data consumption. They do this by proxying your data through online compression servers (this is so less data can be transferred over the network). Disable bandwidth-hungry apps. Using the data monitor that’s built-in to your smartphone, you can find the applications using a lot of data. Consider removing these bandwidth-heavy apps. Alternatively, you can restrict their ability to use background data. On the iPhone, change this setting through Settings > General > Background App Refresh. On Android, you can tick the box to ‘restrict background data’ in the data usage monitor. Does data transferred over wi-fi count towards the monthly download limit? No: your mobile network operator only counts data transferred over the mobile network. If you’re using wi-fi, the data will bypass your mobile network entirely. As such, it won’t be counted towards your download allowance. For this reason, it’s always a good idea to use wi-fi when you’re at home or at work (it saves the allowance for when you’re actually out-and-about). Wi-fi will also give a more reliable experience when using data-intensive apps (e.g. online radio, Skype and online video). It also helps to reduce battery consumption (wi-fi uses less power than 3G and 4G). How much data is used by tethering or portable wi-fi hotspot? Tethering or “portable wi-fi hotspot” refers to the process of sharing your phone’s mobile internet connection with other devices. 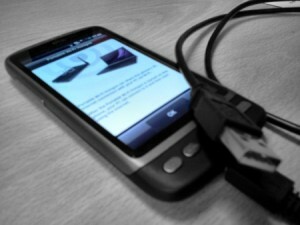 It’s often used to connect devices such as a tablet or laptop to the internet on the go. When tethering from your smartphone, any data consumed on your tablet or laptop will also count towards your mobile download limit. The figures given in the table above should still be broadly accurate (you simply need to add all of the content accessed from a tethered device). Do be aware however: tablets and laptops are often configured to use more data by default (e.g. laptops may use HD video by default whereas smartphones may use SD-quality video). You should also keep an eye out for automatic updates running on your PC: they can quickly use up large amounts of data. Consider disabling automatic updates before tethering from your phone. To monitor data consumption on a tethered PC, we recommend using the free tbbMeter app (Windows only). For Mac and Linux computers, you can use the free BitMeter OS. Does listening to radio count towards my download allowance? Yes, but only if the radio station was received over the internet. If you’re listening to radio through an app or through the browser, it’s likely to have been received over the internet. Online radio apps which will consume data when you’re listening include iPlayer Radio, TuneIn Radio, Spotify and Google Play Music. A 1GB allowance will allow you to listen to approximately 16 hours of online radio. Online radio (e.g. 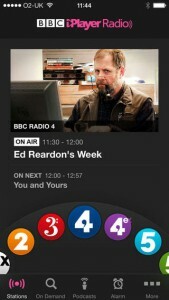 BBC iPlayer Radio) will use your mobile data. If you’d like to listen to the radio without using data, it’s often possible to tune in to FM radio. Unfortunately, many new smartphones lack support for a FM radio tuner. Apple iPhone: FM radio isn’t supported on the iPhone. You’ll need to listen to online radio (this consumes data as mentioned above). Samsung Galaxy: Some older Samsung handsets have a FM radio tuner (you’ll need the Galaxy S3 or earlier or the Galaxy Note 2 or earlier). On these devices, you can save data by listening to FM radio. Nokia Lumia: Most Nokia Lumia smartphones have a FM radio tuner. HTC One: All of HTC’s recent smartphones have built-in support for FM radio (includes the HTC One M7, the HTC One M8 and the HTC One M9). Sony Xperia: Most Sony Xperia smartphones have a FM radio tuner (includes the Xperia Z, Xperia Z1, Xperia Z2 and Xperia Z3). We'd love to hear your thoughts and any questions you may have. So far, we've received 371 comments from readers. You can add your own comment here. Really useful info. Is the data usage info for use in Europe still correct? Many thanks for your comment. Unfortunately, it is not: everything changed back in June 2017 but this article was written before that. You can find the latest on European roaming charges here, and I’ll get this article updated to reflect it ASAP. Really useful site for those of us who struggle! Thanks for taking the time to make this information accessible.